This guy headed our Intelligence? Really? I think what you did, is that you left “/quote” on the same line as “however”. You need a clean break to get the quote block to work. These ‘quirks’ are really tiresome! I went to your link. Right at the top is a picture of him raising his right hand taking an oath. I wanted to vomit. I want to see this smug, self-righteous lying Commie Moslem perp walked more than even Hillary. PS I am sure there are loyal Moslem Arab-Americans in the CIA but, in the wake of 911, I am astonished to see any American converting to Islam. I don’t see any evidence of that having occurred; the only things offered are statements he made which seem to me to be the same thing post-modern, Ken Wilbur-Green, Progressive values would say about Islam. I’d sooner buy that he was a communist, which could equally explain why he rejected swearing in on a Bible. He condemned what he said were negative stereotypes in the U.S. about Muslims and hostility towards Islam, adding that government actions and policies had contributed to the problem but saying this would change under Obama. “Ignorance is a threat to our national security, prejudice is a threat to our national security, discrimination is a threat to our national security. And those who purport to be religious are frequently the most egregious purveyors of ignorance, prejudice and discrimination – and it must stop,” he said. 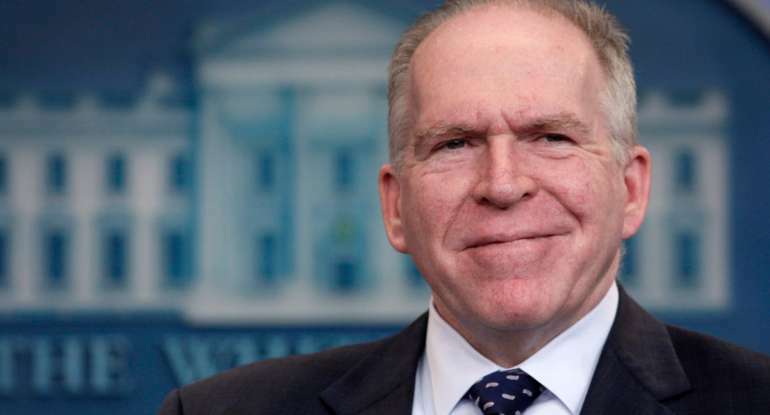 “We must also acknowledge that over the years the actions of our own government have at times perpetuated those attitudes,” Brennan continued. No one brought it up today. You should know Brennan is responsible. I has long been rumored that Brennan converted to Islam while serving as a station chief in the Middle East some years back. I wouldn’t trust this guy if he insisted that fire is hot and ice is cold. Yeah, and it’s dumb as bricks, concocted by a guy who makes a hobby of accusing people of this the same way Al Gore made a hobby out of accusing the world that it’s melting Antarctica. He, John Guandolo is the only one to have claimed this. No one whose known Brennan personally has said it. And the only evidence Guandolo has offered for this, was Brennan saying “I marveled at the majesty of the Hajj”. There’s plenty of reason to not like Brennan or the tenure he had as the director of the CIA. Why resort to making **** up? You just sideline legitimate grievances. OK, no hard evidence. He was raised Roman Catholic but would not take the oath of office on the Bible. This is not hard to figure out. He was a political science major that voted for a Communist. He’s a lecture hall, Green-value Progressive. He underestimates the threat and talks up Islam as he buys the party line on how not doing that harms “diversity”, and sees America through a neo-imperialist/colonial lens. Ergo, everything comes back to us, and how we cause Middle Easterners to misbehave.